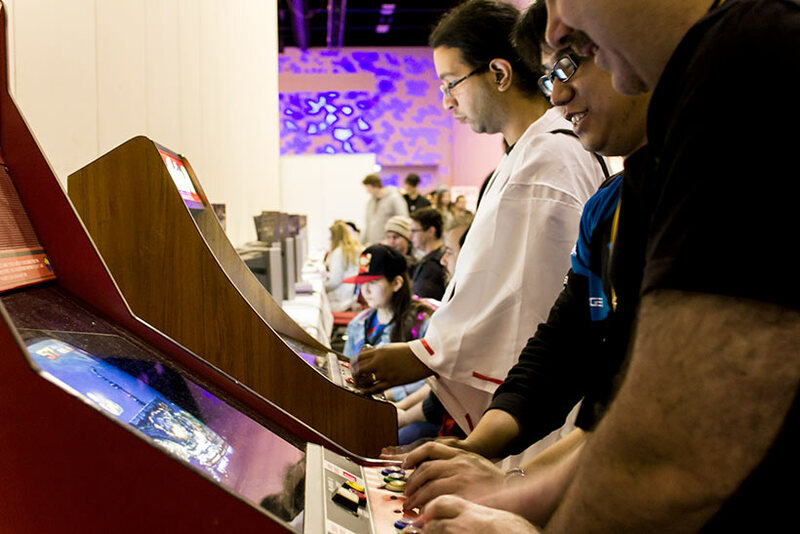 Promoting the culture and knowledge of video gaming, with a focus on retro games. Creating content for an informational and journalistic website – retrospekt.com.au. 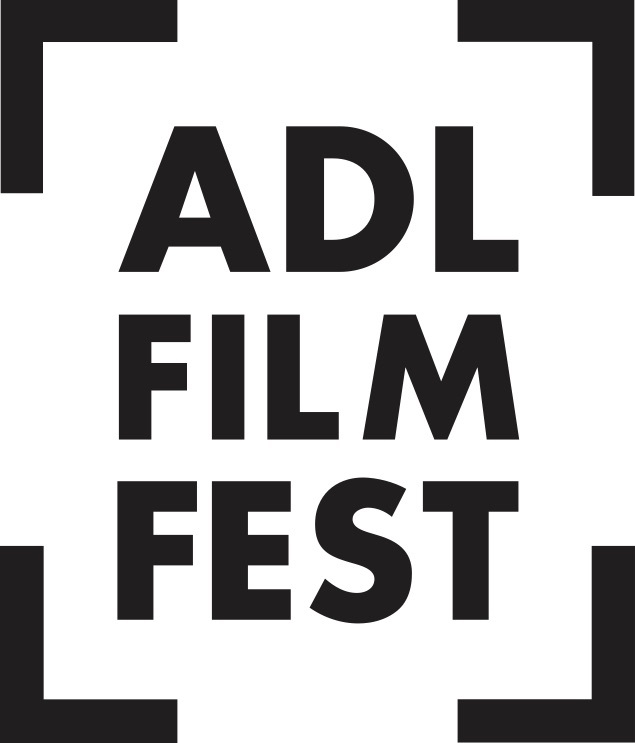 Popularising and advocating for video gaming culture via community, gaming, and music events. 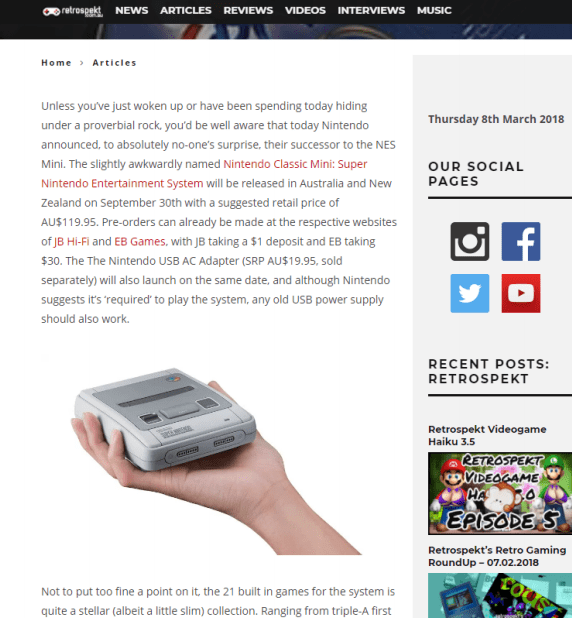 Established in 2009 Retrospekt is South Australia’s number one retro gaming website, association, and online community, with a target audience across the entire retro gaming world; both locally and globally. Retrospekt began over ten years ago with goals aiming to promote, educate, and explore retro gaming and the culture around it. Over many years we have shared news about gaming via our website, curated and exhibited dozens of retro gaming museums at many events, and have run and contributed to a wide variety of gaming, chiptune, and pop culture music gigs. Retrospekt’s bread and butter has always been it’s articles and interviews on retrospekt.com.au. We seek to inform, educate, and most importantly entertain. Retrospekt’s writers and contributors are passionate about classic gaming and all that it entails. Our website is at the forefront of retro gaming news, reviews, articles, videos, music, interviews, culture, and more. We’ve got you covered with a world of classic gaming news and information at your fingertips. Harnessing the interactive features of our website and embracing social media, we go beyond Nintendo and Sega games and systems and embrace all aspects of retro gaming, covering news reviews and opinions from your childhood favourites, modern reinterpretations, and more. If it’s got anything to do with retro gaming and culture, we’re on it. Welcome to your online retro gaming home. 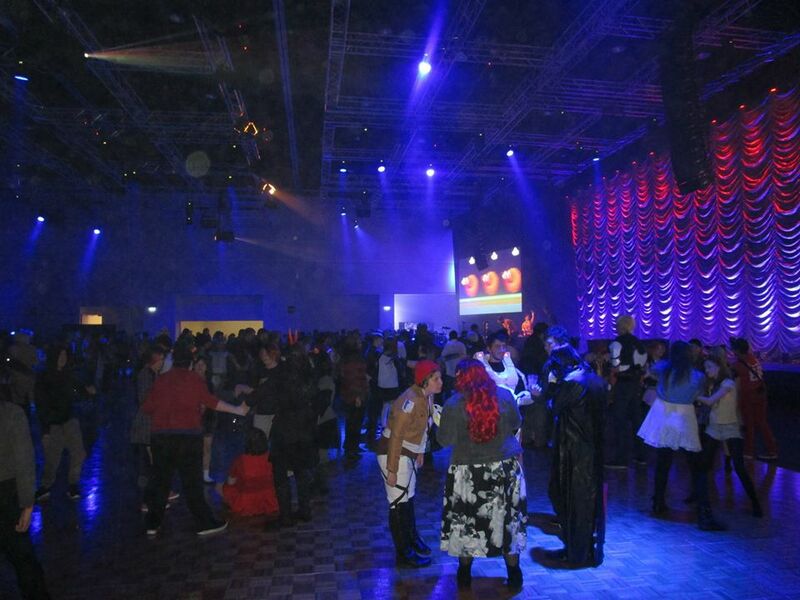 Retrospekt have organised and contributed to dozens of gaming museums at events around Australia over the last ten years. 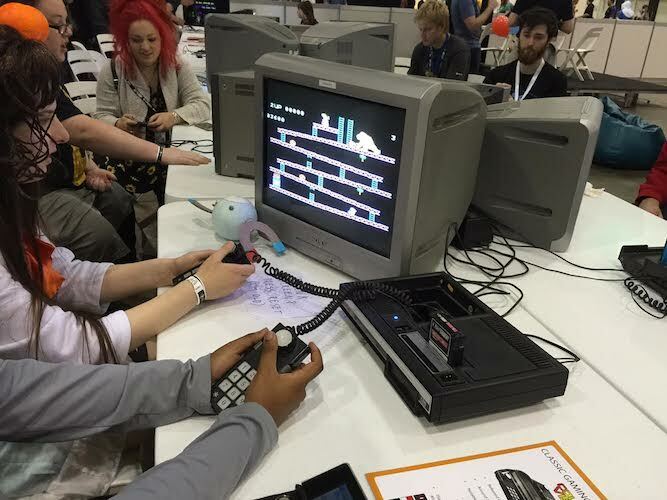 Our museums give people the chance to play classic games on original machines. Beyond the fun provided games, consoles, and computers, our museums also provide the opportunity to educate the community on the history of gaming. If you would like to know more about the services we provide, please visit our Events and Services page. JoyPad is the music arm of Retrospekt. Our unique events combining retro gaming, DJs, live chiptune and electronic music have been connecting the Adelaide gaming and pop culture community in a festive club environment since 2012. We seek out the best talent in underground live music producers and DJs to provide opportunities for and showcase of local and interstate talent. If you would like to know more about our music events and the services we provide, please visit our Events and Services page. and you would like to send us information about your games / hardware / music, or if you would like Retrospekt to review or write an article about your product, please get in touch via our Contacts form or email us. Additionally, if you have any general queries about Retrospekt, our organisation, the website, or anything please fill in our form on the Contacts page and we’ll get back to you as promptly as possible. TEAM RETROSPEKT INCORPORATED (ABN 69 114 549 238, established February 2018) is a registered Australian not for profit organisation.